Zambian politician Chishimba Kambwili who was detained on February 25, 2019. Zambia police Monday arrested and detained President Edgar Lungu's critic Chishimba Kambwili on suspicions of "xenophobia". "Police in Lusaka have arrested Roan legislator Chishimba Kambwili and charged him with expression or showing hatred, ridicule or contempt for persons because of race, tribe or place of origin or colour contrary to the penal code," reported state radio, quoting police spokeswoman Esther Katongo. 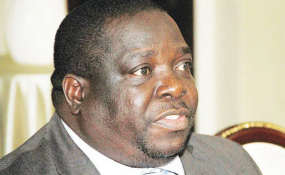 Mr Kambwili was President Lungu's ally and served as Information minister. He was sacked for unclear reasons and he now consults with an opposition outfit, the National Democratic Congress.